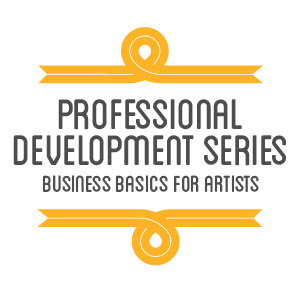 Creative Portland has received a grant from the Quimby Family Foundation to launch a professional development series, in partnership with Maine College of Art and the Maine Volunteer Lawyers for the Arts, designed specifically for professional artists. The professional development series will consist of 12 workshops held in MECA’s Osher Hall on the second Wednesday of every month from 6:00 – 9:00 p.m., beginning in October. Selected from a survey of artists this summer, topics will range from grant-writing and social media, to contract law and business start-up basics. On October 10, the inaugural session will cover the top-rated need identified on the survey by 79 of the 215 respondents: grant-writing skills for artists. With support from the Foundation and a sponsorship from MECA, the cost will be $10 per session for participants and free to all MECA students and alumni.Registration is required for all attendees.